Visual Studio Code>Programming Languages>nc-gcodeNew to Visual Studio Code? Get it now. G-code is Numerical Control (NC) programming language. It is used in Computer Aided Manufacturing (CAM) to control automated machine. G-code language tells a machine controller which tool to use, where to move, how fast to move, and what path to follow. G-Code is also use in 3D printing. This VSCode Extension is syntax highlighter for NC G-Code. 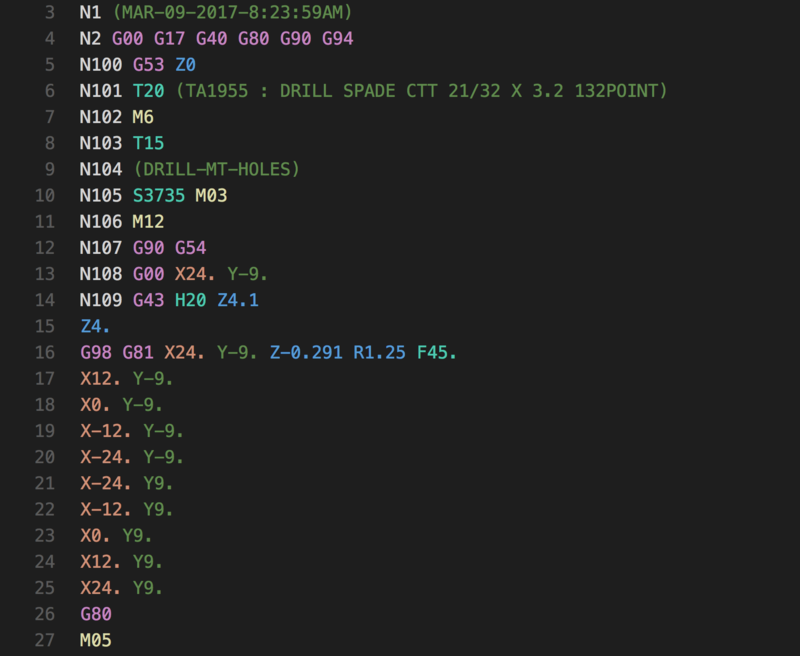 Updated to include ";" gcode comment style. Add link to GitHub Repository in VSCode extension.